Have you been searching for a quality trophy and medal display rack? 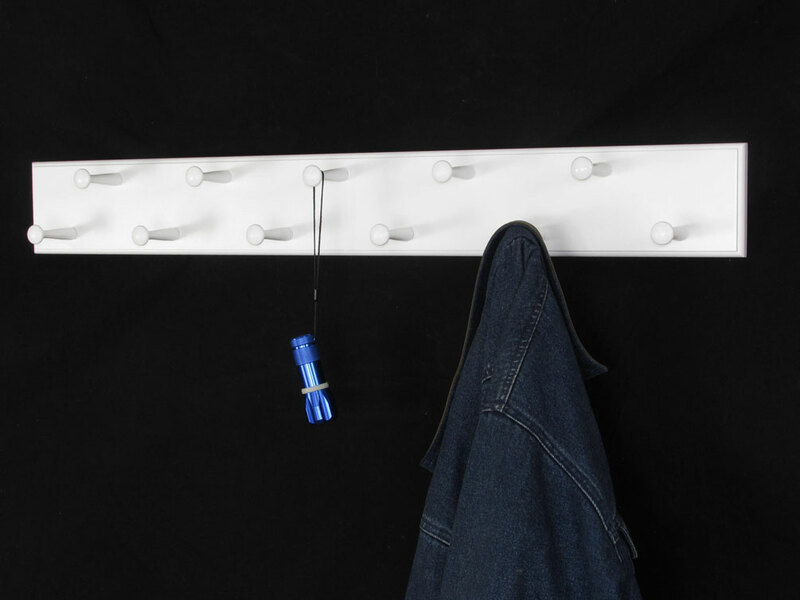 After receiving several requests for them from our satisfied coat rack customers, we thought it was time to offer them on our website. 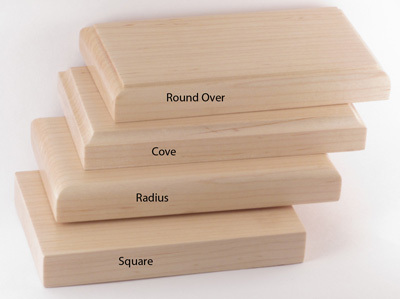 Each is hand crafted in our Michigan facility, using only the finest hand selected Maple or Poplar. 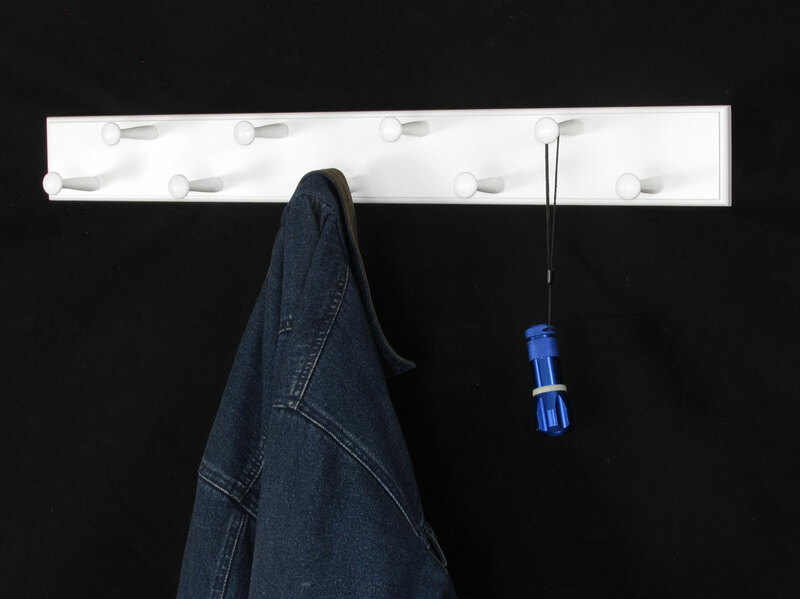 The Double row peg racks come standard with a through hole and a white button plug to cover the screw. Select "No Mounting Holes" and I will not install the mounting holes however I will send the button plugs along. Love our new white peg racks. Were using for shoe and coat storage in laundry room to clear up floor clutter (2 toddlers). Easier and more simple than other shoe storage I saw online. We purchased some double row peg racks for my daughter to hang her vast pointe shoe collection. They are very well made and clean looking, and work perfectly for this purpose. Great quality and looks perfect in the space! My third order with Peg and Rail, a white 29 x 4.5 rail with 9 pegs (double row). Very nicely crafted and finished. Easily mounted on hidden screws using two key hole notches in back. Shaker style looks good anywhere, and the double row of pegs is perfect in the laundry room for hanging sundry items. Very happy with the quality and speedy service. Absolutely love it!! Very well made. We received our peg racks and are pleased with the quality of the product. They are sturdy and well made. I would recommend them to others. The 18" with 5 pegs 18" with 5 pegs would have 2 on top 3 on the bottom. These are available form the 18" to a 58 ' with 19 pegs 9 pegs on top and 10 pegs on the bottom. Q: I ordered/rec'd a 6 peg 35" white shaker rack. The button plugs were included, but I lost them. Can you please send (3) button plugs? I will gladly pay. Once I hear from you, I will give you my shipping address if you need it. Thanks! I will send you some no charge. Q: I wondered whether can make the 29" peg rack in bright red? All of the specs for the white 29"/3.5" peg rack are great, but I would like 2 of these racks in fire engine red. let me know. thank you. At this time we do not have a red version, we do offer them in an unfinished version that you could paint, could be a fun project you could do with your kids. There is a link to the unfinished ones if you are interested. Pegs don’t just grow on trees now do they? Okay, well they are made from solid wood, so they do sort of grow on trees! But, then again, you can’t put a tree in your home! That’s why you need this spectacular white double row peg racks. Designed specifically to make your life easier, this will hold coats, jackets, scarves, umbrellas, leashes, and even ribbons and metals when your kid wins the science fair. Each is hand made in the USA with solid wood so that it will last a lifetime. The white design makes it easy to match in any room and with any décor. Whether you want it in your child’s room to hold medals and ribbons or you want to hang it by the door, you certainly have options.